We are all eagerly awaiting Bellator’s upcoming PPV, which will be the promotion’s PPV debut. 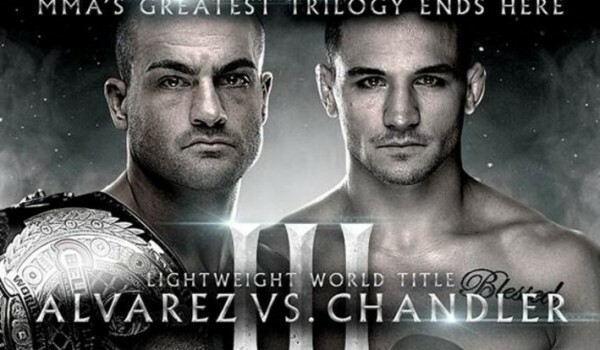 Many are looking forward to seeing the third fight between Michael Chandler and Eddie Alvarez, for sure, one of the most anticipated fights in Bellator history. The cost of the Bellator PPV has been in question, though. Will it be worth whatever it costs? That depends on you, the fan and consumer, as we found out today that the Bellator PPV will be selling for $39.95 in standard definition or $44.95 in high definition. So it is not as expensive as UFC PPVs, but that is still a considerable cost to pay for a few hours of entertainment. Bellator 120 will be on PPV on May 17th.